The Tascam RC-HS20PD controls the HS-8 solid-state recorder. 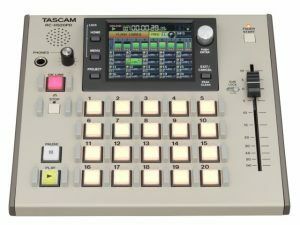 The Tascam RC-HS20PD controls the HS-8 solid-state recorder. It offers flash start with (20) dedicated, illuminated buttons and further control through a color TFT touch screen interface – which can be used for the same operations as the display on the connected HS-8 or HS-2. Five pages of instantaneous playback start (flash start) are available for a total of 100 tracks. A 100mm fader includes fader start for broadcast use, and a 0dB lock is available for the fader. Also included are a monitor speaker and headphone output. The RC-HC20PD connects to the HS-8 with a supplied 5m CAT6 cable. 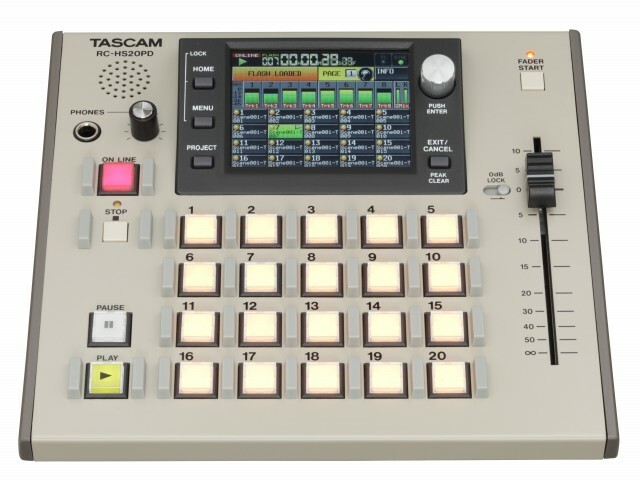 Be the first to review “Tascam RC-HS20PD Controller” Click here to cancel reply.